Posted on July 13, 2018 Categories Fundraising, Sponsored Events, Wesley Memorial, ZumbaLeave a comment on Zumbathon – fun fundraiser. 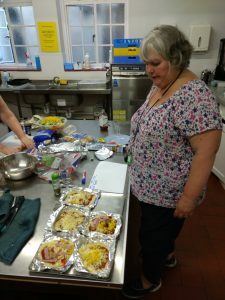 We did a survey of our members to see what we should cook, asking everyone to rank the dishes in order out of these choices. 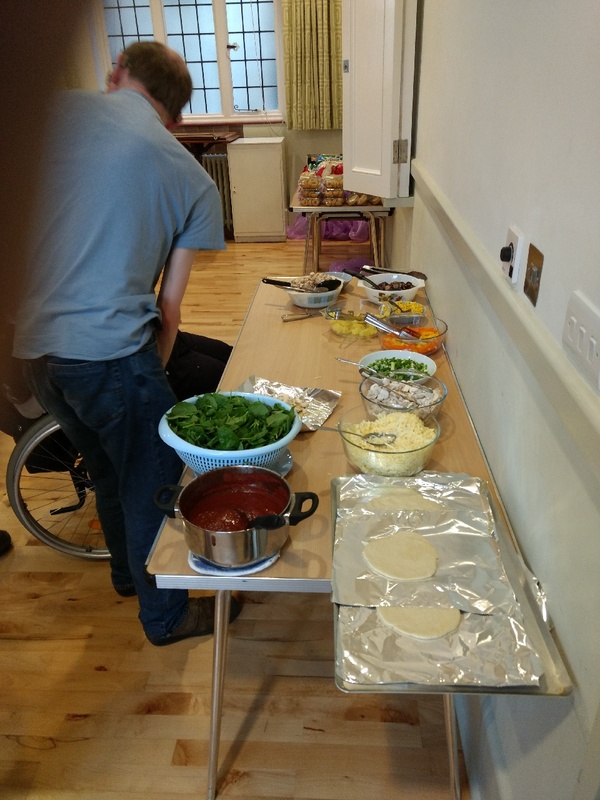 Before the start of the club night a small team prepared the ingredients for all the dishes we were going to cook, and made pizza dough. 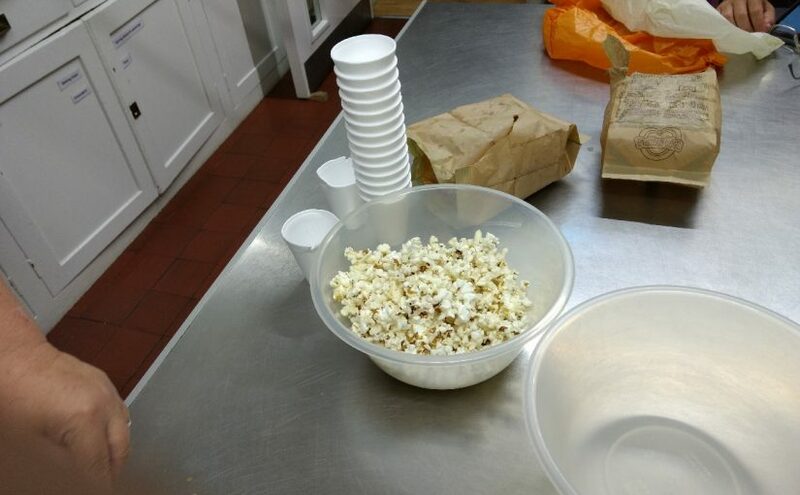 The preparation team had been busy ! The pizzas were put into the oven in batches. 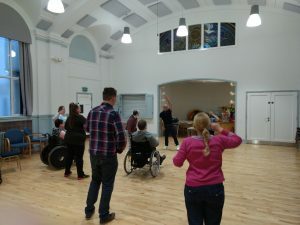 And were then enjoyed ! 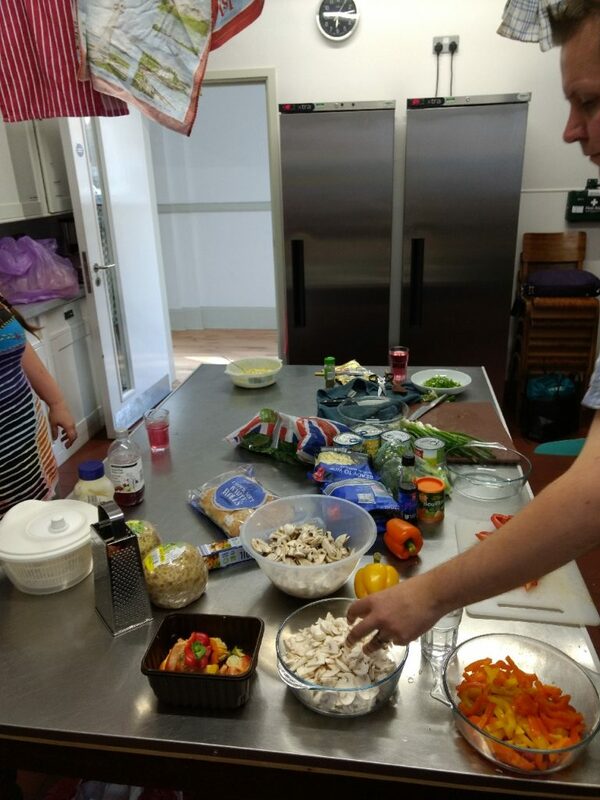 We also had mixed salad, and fruit salad for those who wanted to add some healthy extras. 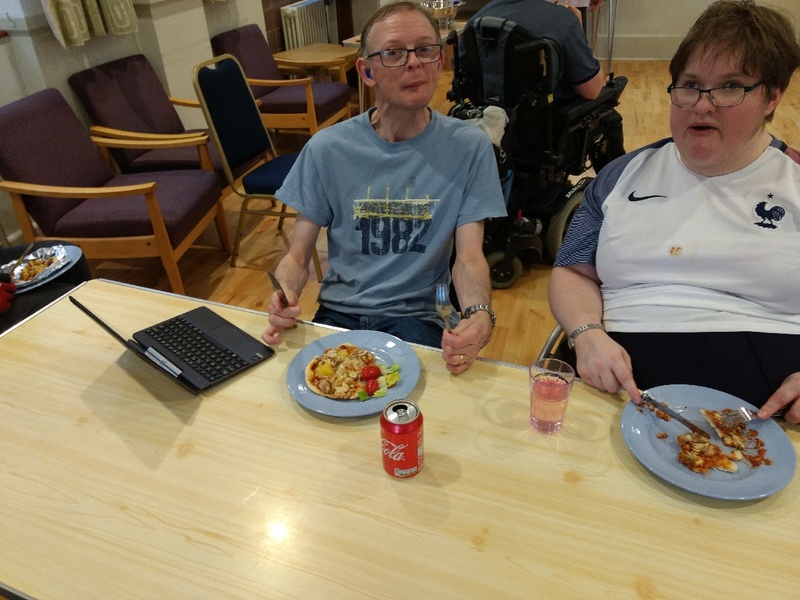 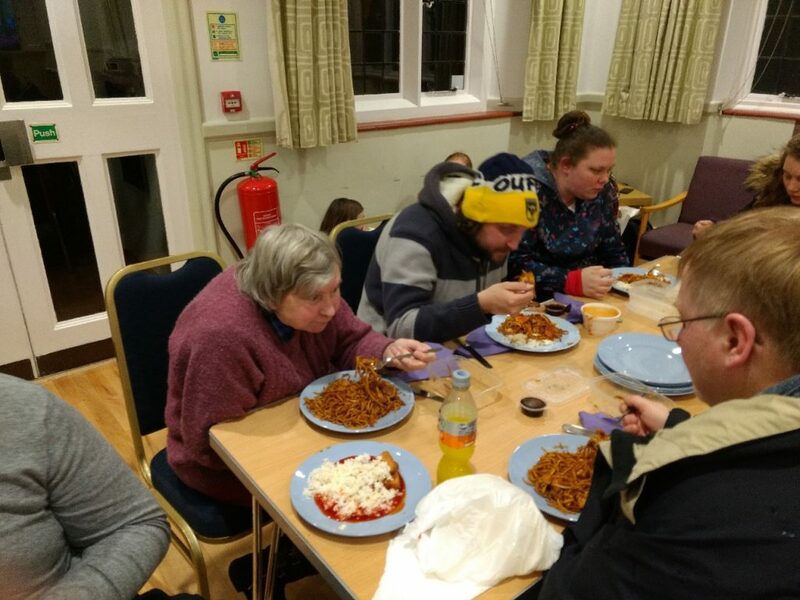 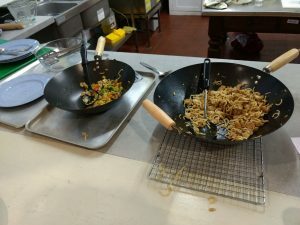 After the pizza round we had a choice of vegetarian noodles, with mushrooms, broccoli and peppers, or a chicken and cashew nuts one – or a bit of both ! 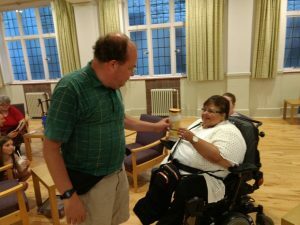 Many thanks to Maria who masterminded the event. 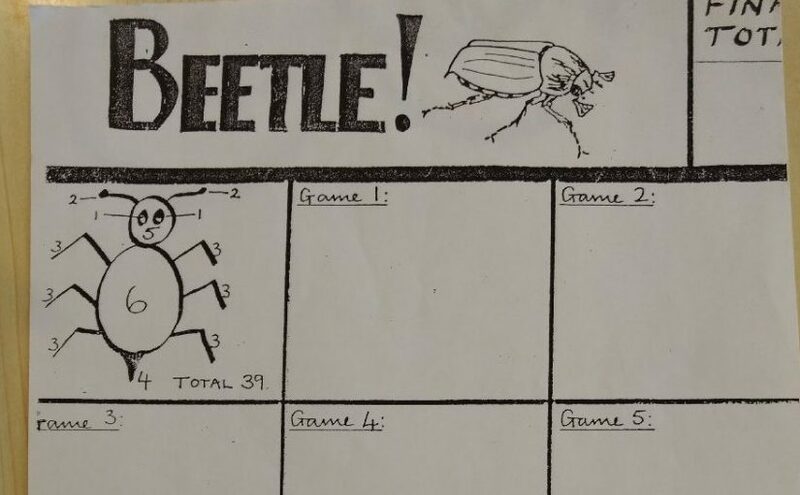 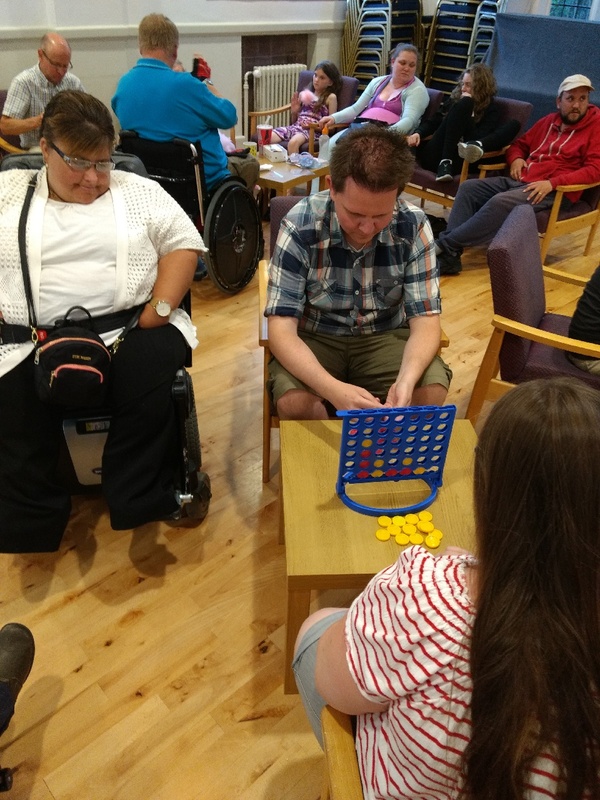 We did not have time to give out a prize for the Bowling last week, so before we got down to serious Connect4, this was handed over. 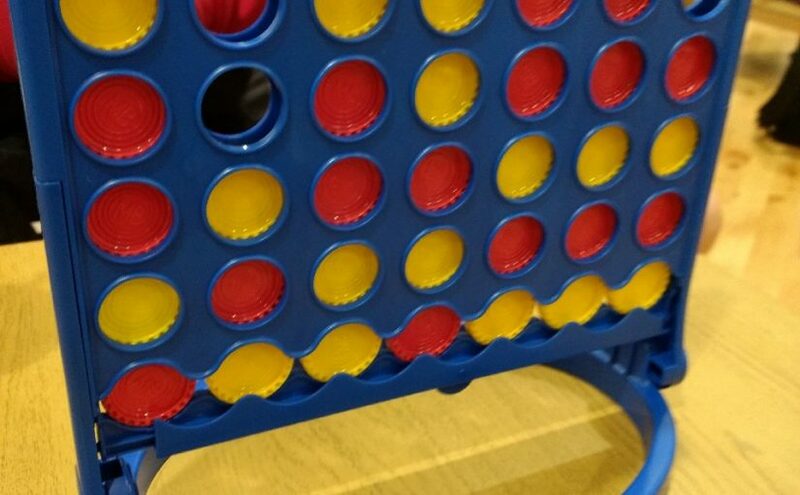 Then we got down to play. 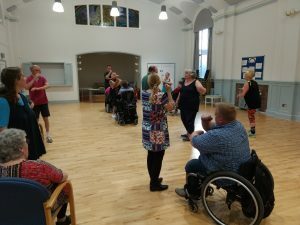 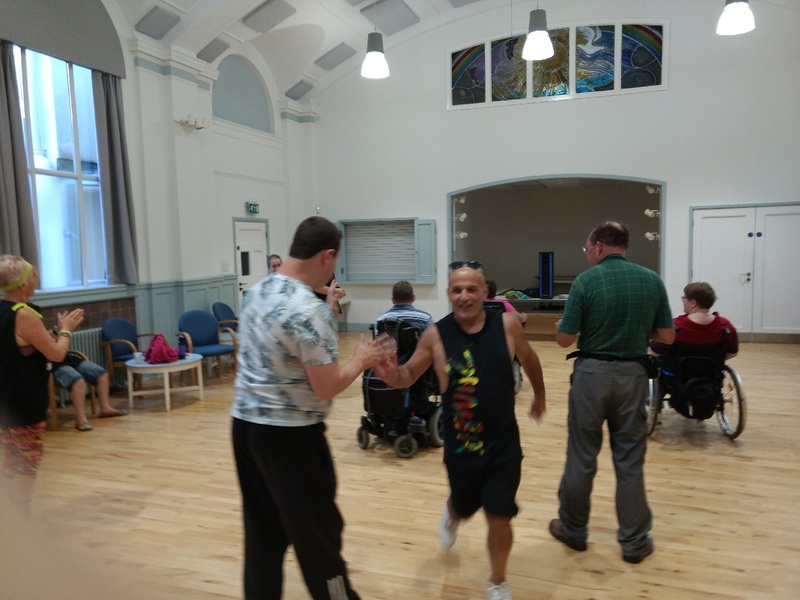 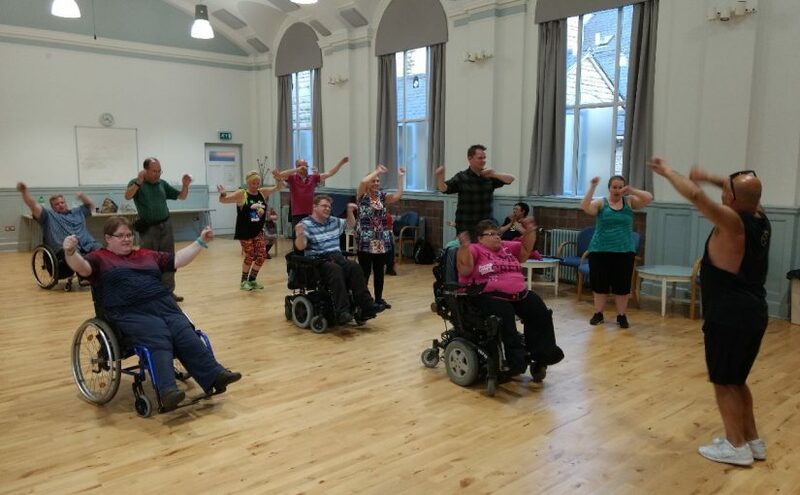 George Martini came to have another Zumba session with us, and also agreed to do a Sponsored Zumba Event on the 13th of July. 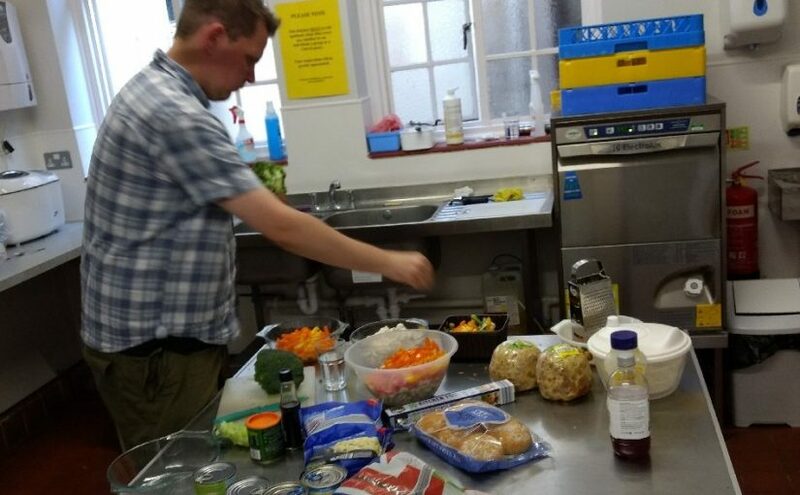 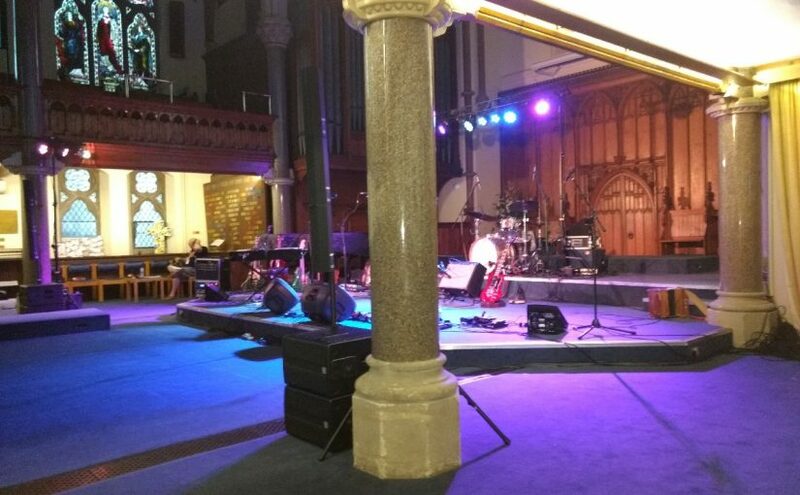 Also in forthcoming events, Wesley Memorial Church are celebrating Hospitality Sunday on the 10th of June, and are hoping to have a signed item in the service, which starts at 10:30. Phab members are welcome, and there will be a light lunch afterwards, so please let Mary know if you want to come. 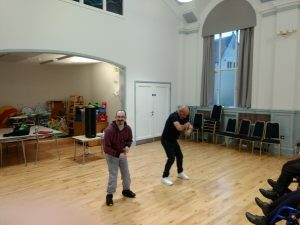 With the discussion of future events out of the way we got on with the Zumba. 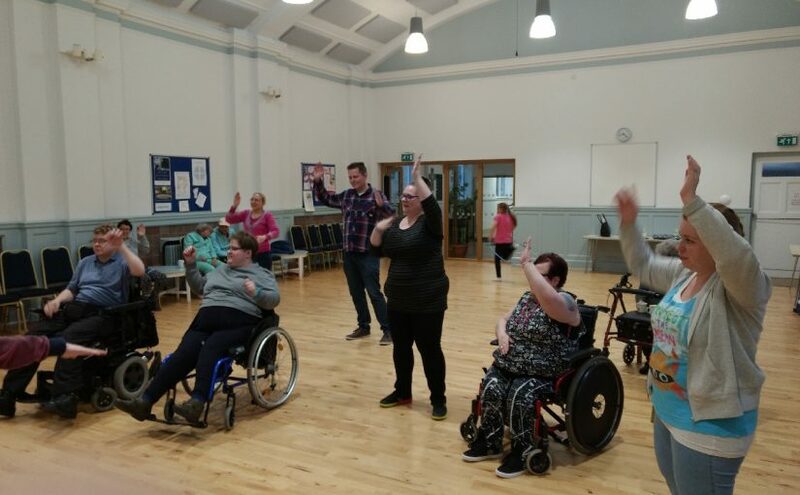 Posted on May 25, 2018 Categories Wesley Memorial, ZumbaLeave a comment on Let's Zumba ! 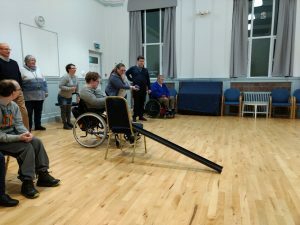 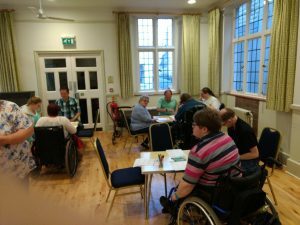 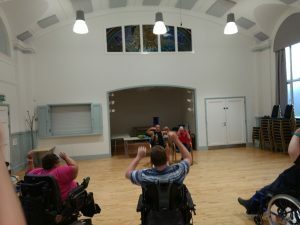 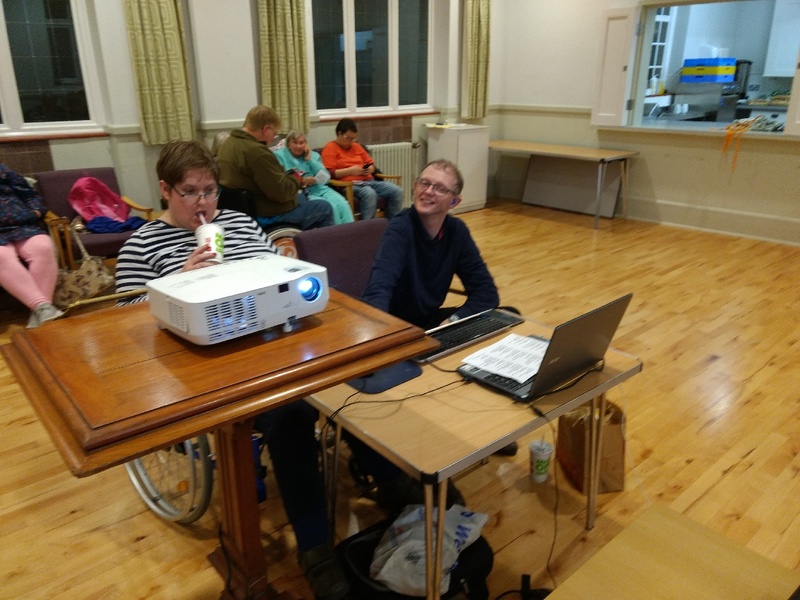 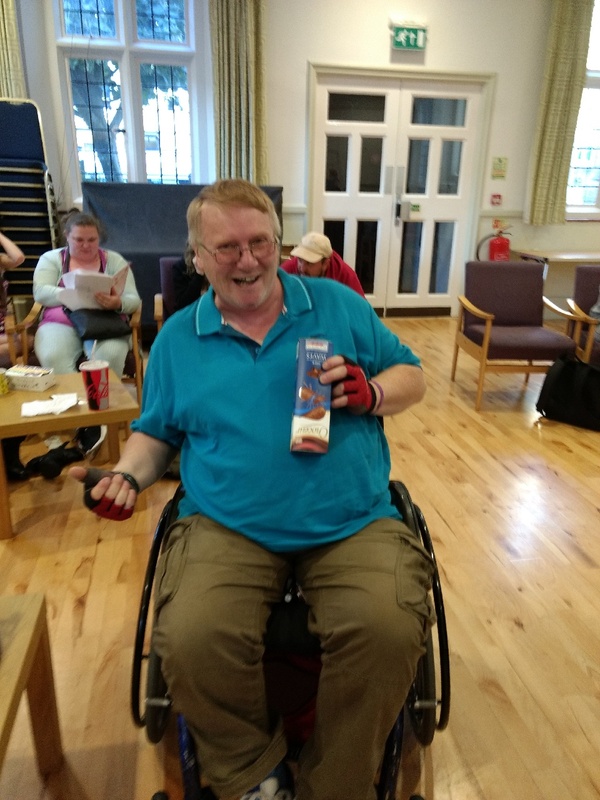 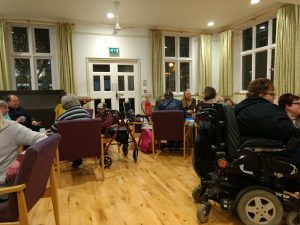 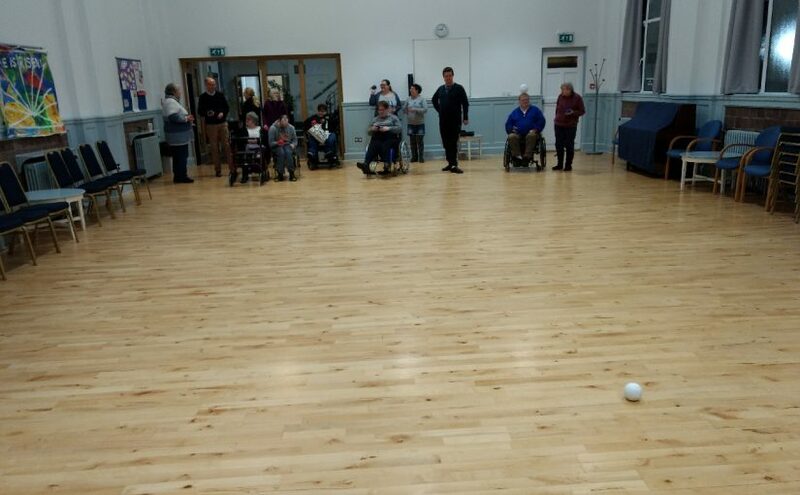 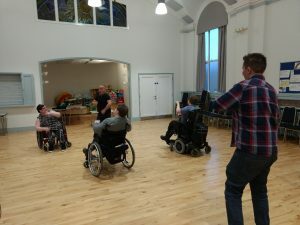 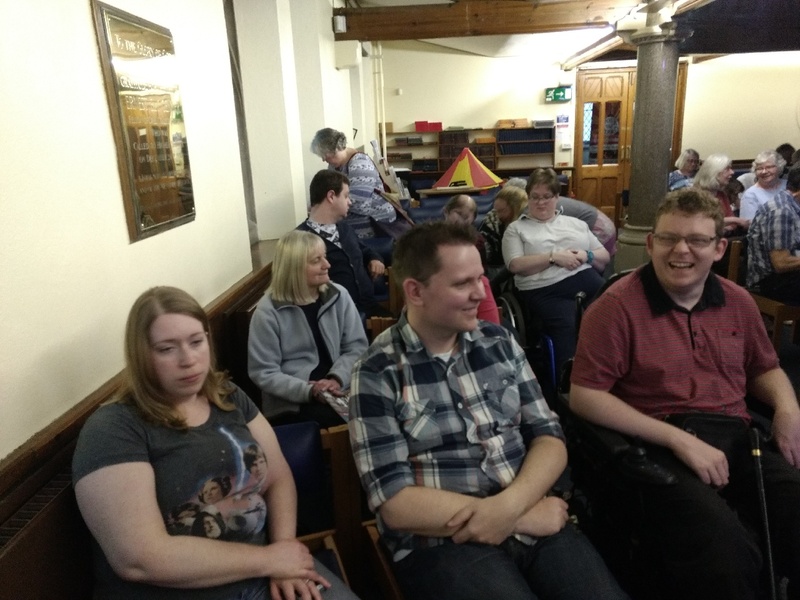 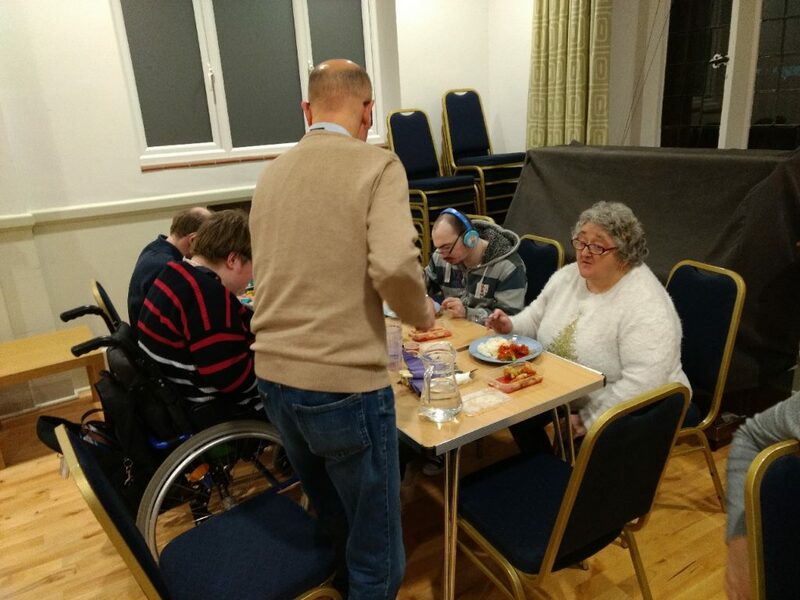 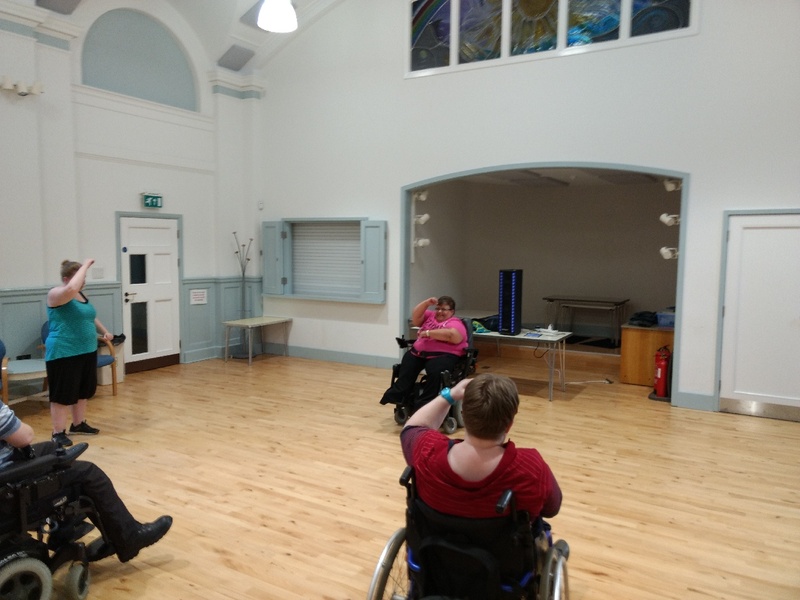 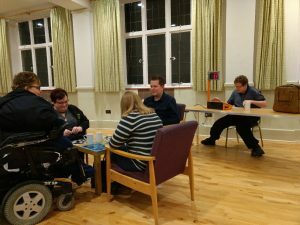 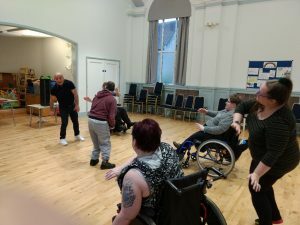 We caught up with what everyone had been doing over Easter, and then we played Boccia in the Hall. 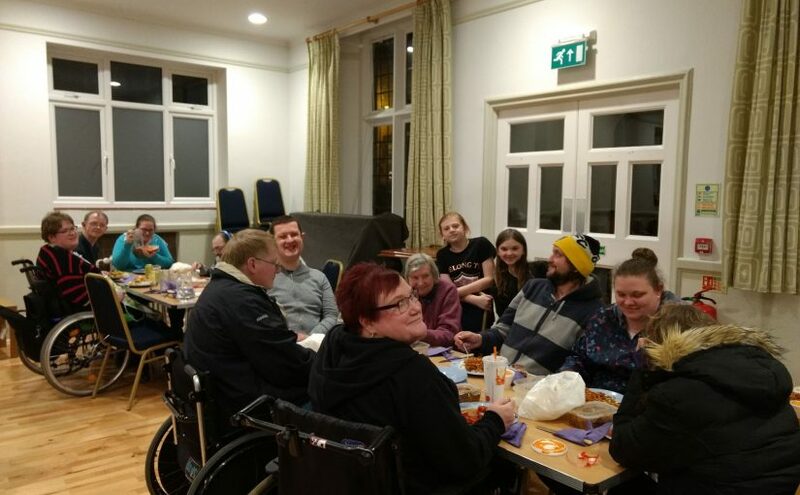 We bring chocolates, and some non-chocolate goodies, for those who have to avoid it, and then we play Bingo, winning a prize for a line, then for two lines and then for a full house, until all the chocolate is gone. 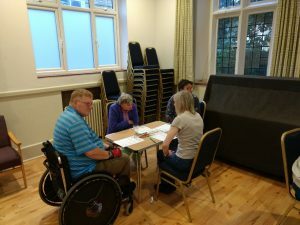 After a few rounds we do not clear the sheets once someone has a full house, but play on until everyone has won a prize. 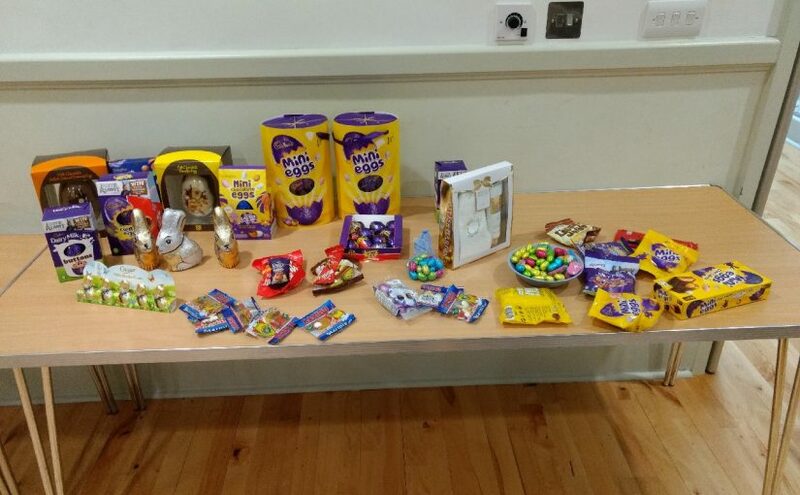 We have some larger eggs, and then a lot of mini eggs, so if our members have already won a large egg, then they can still win mini eggs, but leave larger prizes for others. For those of us who are learning BSL it is a chance to practice our numbers.